Opposite the exit should be a B&A drugstore. You will pass a post office on your left a park on your right. At first set of traffic lights cross the street. When you reach second corner turn left. 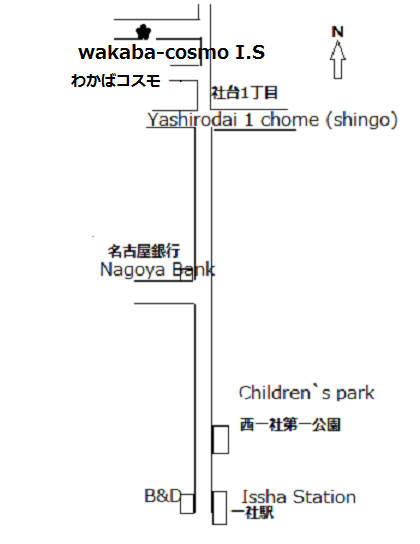 Wakaba-Cosmo is in a house half way down the streat.